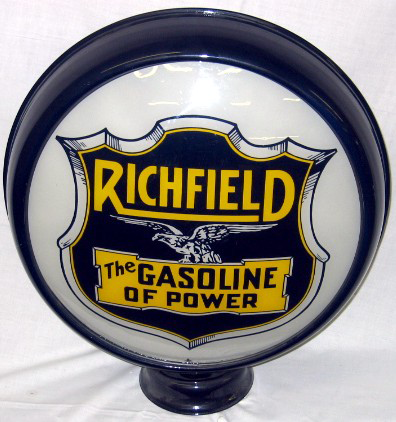 Advertising Globe for Richfield Gasoline. The Gasoline of Power. This shield boasts a dark blue shield in the center with an eagle in the foreground.